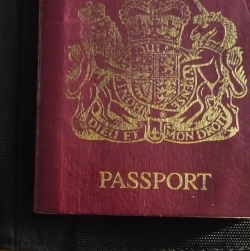 There appears to be a lot of confusion about whether or not you are legally obliged to carry your passport with you at all times when you are in Thailand. I’ve personally read and heard different things over the years in Thailand and different people have their own interpretations of the legal requirements. Is there a law which says you must carry your passport at all times when in Thailand? I’ve not found any link to a Thai law which definitively says foreigners must carry a passport with them at all times. That’s not to say that such a law doesn’t exist, but I can’t find any link in Thai or English to that law. However, there is a law in Thailand which says everybody, Thai or foreign, must carry identification. Thais are issued with an ID card which includes a photo which they are obliged to carry with them at all times. For tourists, a passport will be the most obvious form of ID, but other forms of photo-ID may be accepted depending on the circumstances. What is the Thai police stance? I’ve asked a mid-ranking Thai police officer in Chiang Mai what the official line is for tourists. His answer suggested that it depended on individual police officers and the circumstances in which the tourist was being asked to produce ID. Sometimes a driving licence or a photo-copy of a passport would be sufficient, but sometimes the original passport would be insisted upon. What are the chances of being stopped and asked to produce my passport by police? The chances of the average tourist to Thailand getting stopped by Thai police in the street are very low, so it’s not really an issue to worry about. The circumstances when police check ID of foreign tourists is usually for traffic offences like not wearing a motorbike helmet or jumping a red-light. If you do get asked for ID by Thai police always be polite and respectful. Whether you think you are in the right or not, being argumentative or trying to get clever with Thai police doesn’t really work. When do I need to show my passport? There are a number of occasions when visitors to Thailand will be asked to produce their passport. When you check into accommodation in Thailand, the check-in staff will take photo-copies of your passport together with the immigration card that would have been attached to it when you entered Thailand. This is a requirement under Thai law so always have your passport to hand when checking-in anywhere in Thailand. Your passport should always be handed back to you once the photo-copies have been made. If you hire a motorbike or car in Thailand, you will normally be asked to show your passport to the office hiring out the vehicle and they will make photo-copies before handing the passport back to you. Do not hand your passport over to anybody as a ‘deposit’. If you are subsequently stopped by police for any reason, you will probably be asked to produce a driving licence and/or your passport. For domestic flights within Thailand, tourists should show their passport at check-in. Thai people can use their ID card and some airlines may accept other forms of photo-ID for expats (such as a Thai driving license), but to save any potential problems take your passport with you. If you are getting on any bus, train or boat in Thailand, you should have your passport with you. Random police checks of vehicles, particularly in border areas, do sometimes occur and having your passport on your person makes things easier. The confusion over whether it is law to carry your passport in Thailand is shown with the differing advice given by various governments. Are photo-copies of a passport acceptable as ID? It’s understandable that many people don’t like the idea of carrying their passport with them everywhere when they travel in Thailand and would rather lock the original away in their hotel safe. Carrying your passport with you on the beach or in bars or nightclubs isn’t always practical and arguably increases the chances of losing it or getting damaged or stolen. I know that some visitors to Thailand (tourists and expats) take photo-copies of the relevant pages of their passport (including immigration stamp and card) which they then shrink to a convenient size and laminate it for protection. This is a good compromise and seems a sensible way of doing things. In the majority of cases, this is likely to satisfy Thai police but there could still be times when you will need to produce the original passport and not just a copy. Alternatively, you could take copies of your passport pages and store them on your smart-phone. This would be better than having no ID at all, but as mentioned above there may still be occasions when your original passport could be insisted upon.